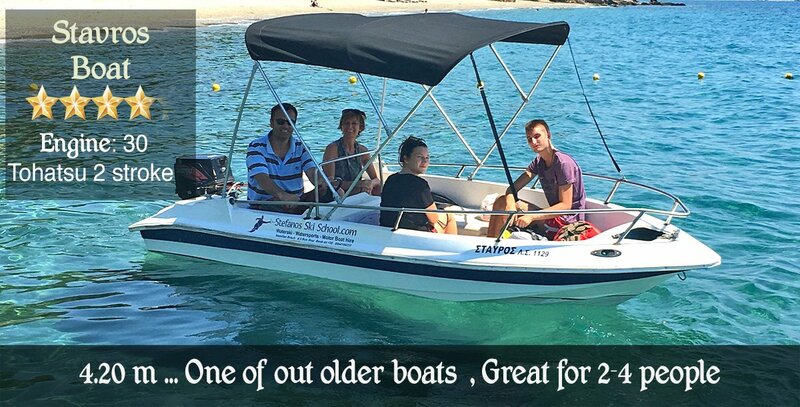 Great comfortable family boat for safe trips ! Returning after a great day !! Explore deserted beaches , visit beaches can only be accesses by boat . You don't need boat driving license , and we teach you everything you need to know !! We rent boats for more than 16 years , we are very happy to see every year the same families to come back and rent the boats again . 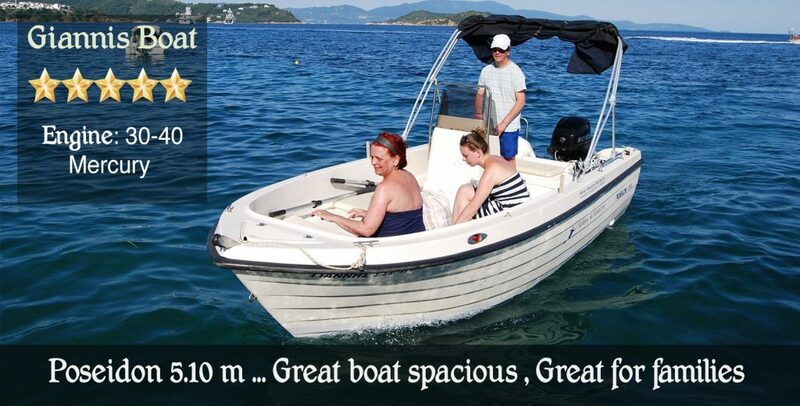 Rent a Boat for a Day and explore Skiathos Beaches! 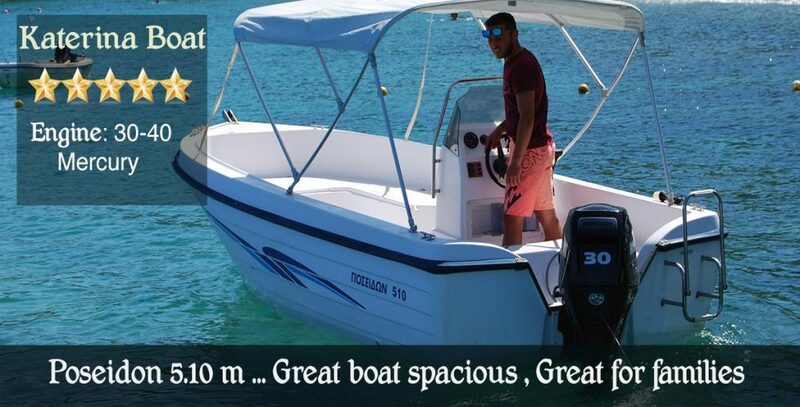 Welcome to our Boats For Rent page. Have you ever wondered what is the best things you can do while you are visiting magnificent Skiathos? 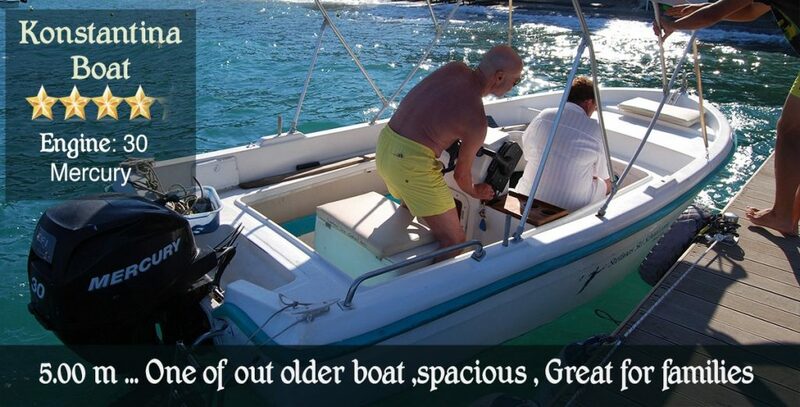 Renting a motorboat for a day or two is one of the most recommended things to do in Skiathos . Skiathos is a small paradise full of beaches ready for you to explore! You can visit only a few, the main beaches by the road, but you will never discover the small hidden beaches if you don't rent a boat for a day in Skiathos. We offer to you the best way to take with you lovely memories that you will never forget. Skiathos has 64 beautiful sandy beaches, and the only way to see them is by boat. We have a variety of boats you can choose from Boats that you need licence and boats you don't. Discover which one suits you best and go for it! We Love Skiathos so much and also we love what we do! 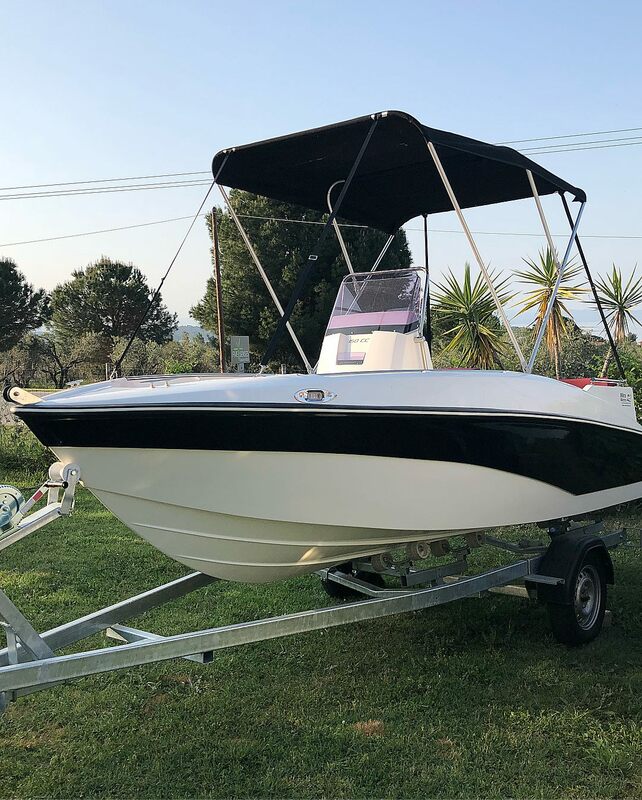 We respect our customers very much, and we want only the best for them that's why we change and service our boats to be in perfect conditions eliminating any problems. Please explore our boats below and contact us for any kind of information you will need !! Στις διακοπές σας στην Σκιάθο δεν θα πρέπει να παραλείψετε να ενοικιάσετε ένα σκάφος για μια μέρα και να ανακαλύψετε την δικη σας παραδεισένια παραλία . Πώς μπορείτε να κλείσετε και πως γίνεται! Πρώτα θα πρέπει να κλείσετε το σκάφος και την μέρα που το θέλετε . Δίνουμε τεράστια σημασία στην ασφάλεια σας για αυτό τον λόγο έχουμε δημιουργήσει ένα ευχάριστο περιβάλλον , οπου σας εξηγούμε με κάθε λεπτομέρεια τα σημεία που μπορείτε να επισκεφτείτε και ποια όχι . Επίσης αφού τελειώσει η θεωρία , μετά περνάμε στην πρακτική όπου θα σας δείξουμε με κάθε λεπτομέρεια πως να χειρίζεστε το σκάφος και την μηχανή με ασφάλεια . Να σας ενημερώσουμε ότι έχουμε αποτρέψει ανθρώπους που μας λένε ότι έχουν τεράστια εμπειρία και τα ξέρουν όλα . Εύκολα καταλαβαίνουμε αν έχετε εμπειρία , και χαιρόμαστε ιδιαίτερα όταν ακόμα και τότε ακούτε αυτά που έχουμε να σας πούμε . Μπορείτε να έχετε το σκάφος 10.00 π.μ. - 18:00 μ.μ. Θα πρέπει να έχετε οπωσδήποτε ένα κινητό σε πλήρη φόρτιση , νερό και οτιδήποτε άλλο είναι απαραίτητο για σας. Υπάρχουν μια ταβέρνες, καντίνες και beach bars, οπου μπορείτε να σταματήσετε και να απολαύσετε ένα παραδοσιακό ελληνικό γεύμα ή απλά ένα γρήγορο αναψυκτικό. Ναι, μπορείτε να επισκεφθείτε τα νησιά και τις όμορφες παραλίες τους. Υπάρχει μια ταβέρνα στην παραλία κάθε όπου μπορείτε να απολαύσετε ένα ωραίο γεύμα. Ο Στέφανος και η Γιασεμη θα σας δώσει ένα χάρτη με όλες τις πληροφορίες για τα βραχώδη μέρη και παραλίες για να μείνετε μακριά . HOW LONG I CAN RENT MY BOAT FOR ? We have all the iformation for each boat in our boa hire page . All our boats have life jackets smoke flairs hand flairs and all the necessary safety rules. Yes all our boats have sun canopies , that easily can put down if you like the sun. You should have your mobile, your hat , water and anything else is essential for you. There is a Taverns, Cantinas, and beach bars so you can stop and enjoy a traditional Greek meal or just a quick refreshment. Can i go to the islands of Tsougria and Arkos ? It’s a must ! Yes you can visit the islands and their beautiful beaches. There is a tavern on each beach were you can enjoy a nice meal. Stefanos will give you a map with all the information for rocky places and beaches to stay away from. Can i go arround the island ? We dont send our boats in the nrth side of the island . Only in a few cases if the captain is experience and the weather is perfect. We need perfect weather conditions, other wise north side is very choppy and unsafe. I’m interested in renting a boat for the day – can you confirm prices and how far in advance we would need to book? You can rent a boat for one or more days , you can see all our prices and boats here . To book a boat you must come down to Stefanos Ski School on Vassilias beach , below Kassandra Bay resort and Golden King Villas , at number 8 bus stop. Or you can book online by paying the deposit via PayPal , this way you can confirm the date and the boat you choose . When you book the boat you will get a link with a half an hour video with our briefing . How i can anchor my boat ? 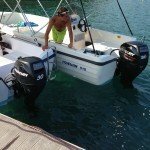 Is anchoring the boat is easy ? Is there a video to explain on how to properly anchor my boat ? How do i start my boat ? How i use the control gear to go forward , Neutral or Reverse ? You can make payment via PayPal or with your credit card. Your name ,Boat's Name , People on board , Date of hire , Amount you paid . We must reply back to you to confirm the payment and booking , if we dont you boat maybe not confirmed and booked to you . Rent a boat for a day, find your own deserted beach, and discover your own paradise. is safe and you don't need license. 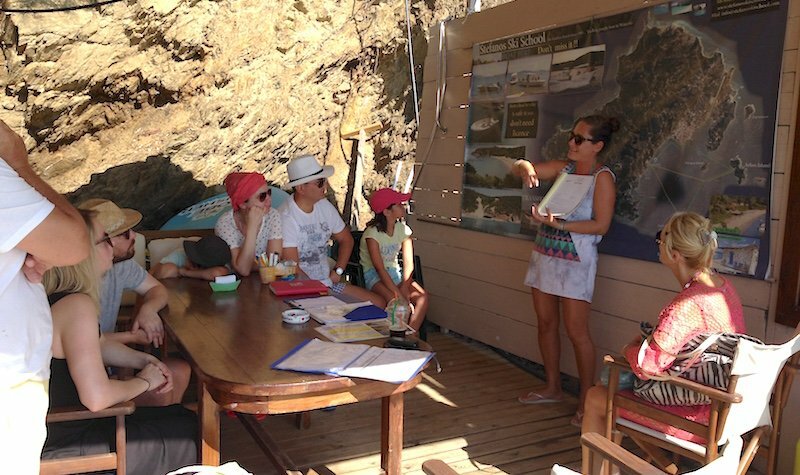 Stefanos will explain to you the map and how to operate the boats.